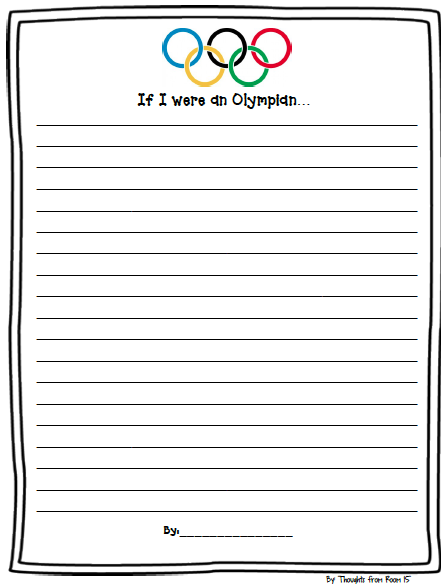 If you were in my 3rd grade classroom, you would know just how in the "Olympic Spirit" I really am. My kids are reading all about the Olympics (reading and finding text-based evidence as they go). They have an Olympic Reading challenge they are doing. We are tracking the medals. I am loving it. One of our skills this week was narrative writing. I, of course, had to pull in the Olympics. 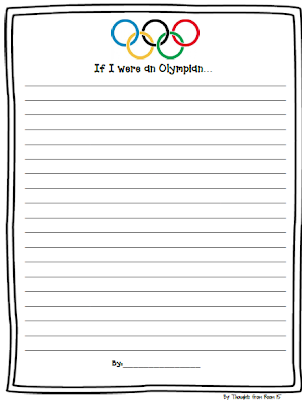 I made a quick, easy writing paper. You can grab it for free in my TPT store. I hope that your kids enjoy it!! Go grab a FREE copy here!